Let’s do a little word problem. Step 1: I loved The Name of the Star. Step 2: The Name of the Star has paranormal elements. Step 3: I usually can’t stand paranormal fiction. Step X*h&3: SYSTEM ERROR. Please restart and try again. It turns out that if said paranormal is written by Maureen Johnson, I will read it and LIKE IT. Of course, I knew I liked MJ. She’s pure gold on twitter and an A+ funny, intelligent person. I’m very happy to report that her book impressed me as much as her persona. The Name of the Star is a winner. Soon "Rippermania" takes hold of modern-day London, and the police are left with few leads and no witnesses. Except one. Rory spotted the man police believe to be the prime suspect. But she is the only one who saw him. Even her roommate, who was walking with her at the time, didn't notice the mysterious man. So why can only Rory see him? And more urgently, why has Rory become his next target? In this edge-of-your-seat thriller, full of suspense, humor, and romance, Rory will learn the truth about the secret ghost police of London and discover her own shocking abilities. The Name of the Star is part mystery, part horror, part budding romance, part travel and cultural adventure, and all parts engrossing and wonderful. Rory – funny, self-deprecating Rory – has a great character voice, and is a little crazy in a good way, along with being brave, loyal, and in for more than she ever expected. The plot is fantastic, in particular because it draws on the real fears and tendencies of that great mob we call humanity. Highlighted themes: reliance on surveillance, the process of denial, mental breakdowns, ostracism, and family connections. The story leaps away from the expected, only to merge back in with normality so seamlessly that you may find yourself looking over your shoulder and inspecting the security cameras, just in case Johnson knows more about ghosts than she’s letting on. Maybe it’s the time of year, but the Jack-the-Ripper storyline is creepy and all sorts of dark and delicious. Speaking strictly on a superficial level (and I NEVER do that… what?! ), I think the UK cover beats the US cover hands down. Comments if you agree/disagree. Also: if you’d like to win a copy (of either version), remember to enter my giveaway! Ends November 1. The Name of the Star is a do-not-miss is you’ve ever read and liked young adult literature, Maureen Johnson, horror and humor intermingled, or actually just if you’re alive. Guaranteed fun with spooky shenanigans on the side. Also: compulsively readable. Make that a WARNING: you won't be able or want to put the book down. Recommended for: you. It’s young adult, yes, and it’s reeeeeallly good at what it does. Sometimes the rumor of several much beloved story elements in one book tip my interest meter to ‘read NOW!’ And, as we all know, pretty cover art doesn’t hurt. A fairy tale mash-up featuring an herbalist’s apprentice in Eastern Europe, with a recommendation from Karen Cushman, a long-time historical fiction favorite? I’m in. And happily, I’m also satisfied. Reveka is a thirteen year-old herbalist in training, and she has an affliction – an incurable streak of curiosity. This has landed her in muddles her entire life, and it is no different when she takes up residence at a castle where the princesses are cursed and those who have tried to help them end up in neverending sleep. Add in a precarious political situation and a mysterious stranger, and the heroine is determined to both find the solution to the curse and make her own luck. The Princess Curse started slowly, and I found Reveka to be almost irredeemably annoying through the first few chapters. It wasn’t that she wasn’t believable – it’s just that I was expecting someone less stubborn. Despite that complaint, I quickly became engrossed in the story and came to value Reveka’s character and the precocious energy she brought to the narrative. Reveka’s practical and curious mind was balanced by an original mix of mythology and fairy tale. While most obviously based on the story of the ‘Twelve Dancing Princesses,’ The Princess Curse borrows bits and pieces from many traditional tales, while maintaining its own flavor. These fantastical themes became clearer as the book progressed, and at the same time led to a longing for more of the same. While the book serves as a stand-alone, I certainly hope for more from Merrie Haskell and Reveka. By the time I reached the end of the The Princess Curse, the blurb by Karen Cushman (Newbery medal-winning author of The Midwife's Apprentice) on the back cover made perfect sense. While it is indeed a fantasy, Haskell’s book is also rooted in the geography, history and tradition of Eastern Europe. In addition, Reveka is an herbalist-in-training, and the botany and early medicine involved in the descriptions of her work are fascinating and well-researched. This setting transforms The Princess Curse from ‘quite good’ into a must-read for anyone with a bent towards fairy tale or historical fiction. Recommended for: devotees of middle grade fantasy and historical fiction, fans of fairy tales old and new, and those who appreciate a well-rounded story set in a fascinating and unique world full of both magic and folklore. Would you like to win a copy of The Princess Curse? Enter my giveaway for a book of your choice (ends November 1). I went to a pumpkin patch and apple orchard last weekend and enjoyed beautiful weather, a view of the Virginia hills, and came away with some scrumptious apples. Then I had a busy week at work and didn’t do anything with them. Today rolled around, and I finally found time to make apple crisp. 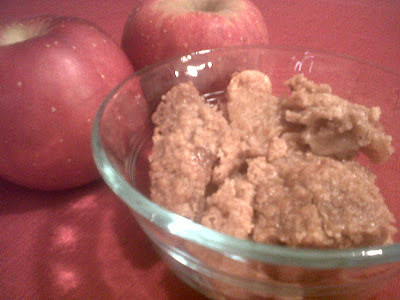 Had to call my mother for her recipe, but the baking happened, and this crisp is A-for-Apple-Amazing! 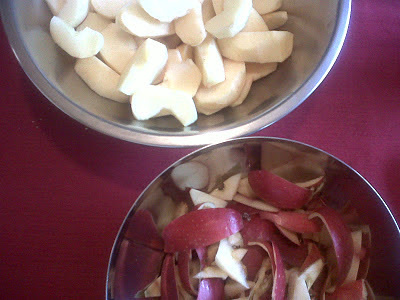 Thinly slice and peel apples, then layer in the bottom of a deep-sided 8x8 pan (or a 9x13 casserole dish if you want to double the recipe). 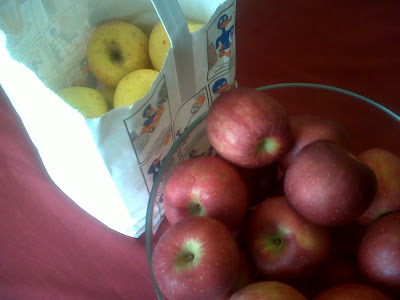 Sprinkle apples with water. Preheat oven to 350 degrees F.
Mix dry ingredients together in a small bowl. 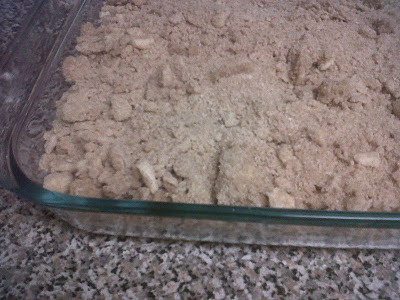 Cut in butter and mix together until topping reaches crumb-like texture. 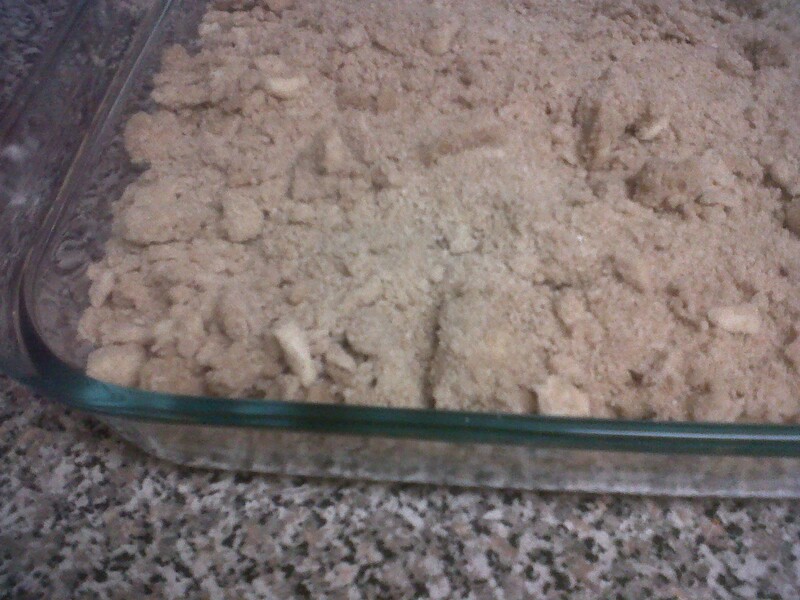 Spread crumb topping evenly over apples. Cover and bake for thirty minutes, then uncover and bake for another thirty minutes. Serves 6. Recommended for: any occasion. This is a dish my mom is famous for, and it’s so simple! You can’t really get it wrong unless you forget the apples. It’s delicious hot with vanilla ice cream, cold, for breakfast, at the end of a posh evening – you name it. The blog feels naked without a giveaway. Also: there’s been precious little new content here – mostly because I outdid myself with September Zombies, and shortly thereafter real life intervened (working a full time job…oh yeah, I do that in my spare time?). BUT! Nothing like a giveaway to brighten up my week and yours, right? 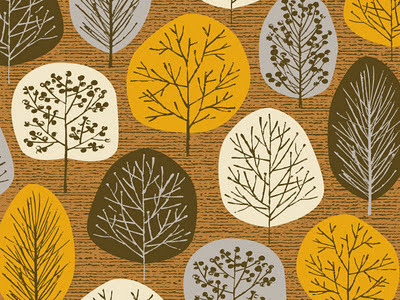 Welcome to my autumn giveaway! One entrant will receive book of their choice (up to $30 US, available via Book Depository). Giveaway open internationally, ends November 1, 2011 at 11:59pm EST. Winner will be selected randomly and notified via email. To enter, simply fill out the FORM. Good luck, and thank you for hanging in there with me! Zombie novels. You’ve heard about them (many on this very blog!). They’re taking a bite out of the competition. SORRY! I had to do it – the jokes are just there, waiting to be told. But seriously, what has brought them out of the relative obscurity of horror (again, no offense meant), and plopped them into mainstream young adult literature, one of the fastest growing markets in publishing? I think that part of the answer is that a good zombie story asks big questions, questions that everyone ponders when they realize that life isn’t simple, sweet or easy. What is humanity? What is the difference between a monster and a hero? What defines right, and what is evil? And what, if anything, can one person do to make the world a better place? Benny Imura is an angry, unhappy, and fairly typical teen living behind a fence – a fence that fends off the zombie apocalypse. If it sounds crazy, it is a bit, but Jonathan Maberry brings the world of Rot & Ruin into immediate and vivid focus, and the reader is sucked into a tragic reality that makes a scary amount of sense. But in this story, nothing is as it seems, especially Benny’s brother Tom. I think of this novel in terms of emotion. When we meet Benny, he is consumed by hatred. As his story progresses, he feels horror, disgust, despair, remorse, hope, and love – not necessarily in that order. It is a journey into adulthood, a loss of innocence, and a revelation of both the best and worse of humanity – and an ultimate adventure and survival story. It is gripping and important reading. I want to tell you a little something about my reaction to this book, in case you’re not sure you want to delve into something bleak and zombified. It took me a year to start reading Rot & Ruin. It got fantastic reviews from people I trusted, but I still wasn’t sure I wanted to go deep into an apocalyptic setting. But I started it, and I was struck by the anger, genuine anger in Benny’s psyche that bleeds through the writing. And THEN my dad stole my paperback while he and my mom were visiting. He was so engrossed that I knew it wasn’t just me – this was a special book. And after that, it was just a matter of finding time to finish the story. Recommended for: fans of coming-of-age sagas and Patrick Ness’ The Knife of Never Letting Go, readers of all generations, guys and girls, zombie and apocalypse enthusiasts, and anyone who has wondered if they have the capacity for the extraordinary inside themselves.